Learning about the qualities of the Three Jewels and especially of the Buddha increases our confidence in his ability to guide us from the dangers of saṃsāra. Both the Pāli and the Sanskrit traditions extensively praise the Tathāgata’s qualities by expressing his four types of fearlessness, ten powers, and eighteen unshared qualities. Candrakīrti quotes (Madhyamakāvatāra 6.210cd) a passage, also found in the Pāli canon (MN 12:22–26), describing the four kinds of self-confidence or fearlessness of the Tathāgata that enable him to “roar his lion’s roar in the assemblies.” The Buddha sees no ground on which any recluse, brahman, god, or anyone else could accuse him of (1) claiming to be fully awakened although he is not fully awakened to certain things, (2) claiming to have destroyed pollutants (āsava, āśrava) that he has not destroyed, (3) calling things obstructions that are not obstructions, and (4) teaching a Dharma that does not lead someone who practices it to complete destruction of duḥkha. These four enable the Tathāgata to teach the Dhamma with perfect self-confidence free from all self-doubt because he is fully awakened regarding all aspects, has destroyed all pollutants, correctly identifies obstructions on the path, and gives teachings that lead those who practice them to nirvāṇa. 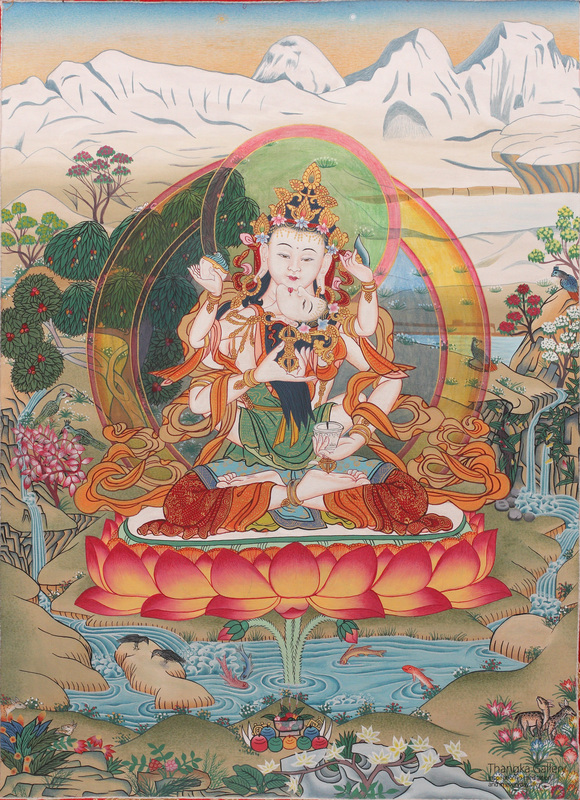 The ten powers are a set of exceptional knowledges exclusive to the Tathāgata. 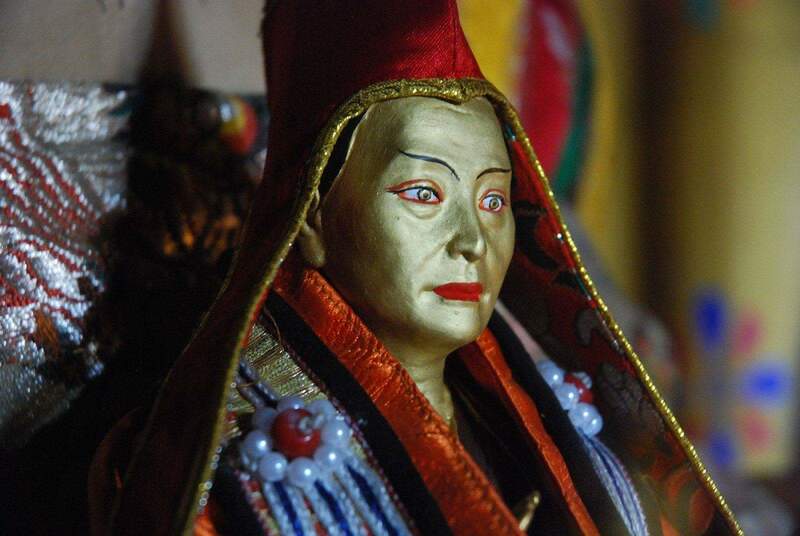 They enable him to do a Buddha’s unique activities, establish his doctrine in the world, skillfully teach sentient beings, and lead them to awakening. Spoken of in both the Pāli (MN 12) and Sanskrit sūtras (Daśabhūmika Sūtra), these ten are exalted wisdoms that have abandoned all obscurations and know the infinite objects of knowledge. Unless otherwise noted, the explanations below are shared by both traditions. With direct, unmistaken perception the Tathāgata knows the tenable and the untenable, the relations between actions and their results as well as the implications of actions done by āryas and ordinary beings. Only the Tathāgata fully and accurately knows the intricacies of past, present, and future karma and their results, including subtle causes leading to a particular experience in the beginningless lives of each sentient being. The Tathāgata knows the various destinations of ordinary beings—the saṃsāric realms—and the paths leading to rebirth there. He also knows the destination of the āryas of the three vehicles—nirvāṇa—and the paths leading to that. He fully understands the world and the various elements (dhātu) that compose it—the eighteen constituents (dhātu), six elements, external and internal sources (āyatana), twelve links (nidāna) of dependent arising, twenty-two faculties (indriya), and so on—with wisdom seeing them as impermanent, conditioned, and dependent processes. He knows the different inclinations of beings (adhimutti, adhimokṣa)—their spiritual aims and the vehicles they are attracted to. This enables him to teach them the Dharma according to their individual faculties, abilities, and aspirations. He knows the strength of each being’s faculties (indriya) of faith (saddhā, śraddhā), effort (viriya, vīrya), mindfulness (sati, smṛti), concentration (samādhi), and wisdom (paññā, prajñā) and teaches each being accordingly. Because the Buddha has mastered the jhānas, the eight meditative liberations (vimokkha, vimokṣa), and the nine meditative absorptions (samāpatti), he knows the defilements, cleansing, and emergence (Pāli: sankilesa, vodāna, vuṭṭhāna) regarding them. Defilements are impediments hindering a meditator from entering a meditative absorption or, having entered, make it deteriorate. Cleansing is the method for removing the impediment. Emergence is the way to come out of a state of meditative absorption after having entered it. He is able to guide others to attain these meditative states without their becoming attached to the bliss of concentration and urge them to continue practicing the path to nirvāṇa. The Tathāgata recollects in detail his manifold past lives with their aspects and particulars. This and the next power are the last two of the five superknowledges (abhiññā, abhijñā). Thus he knows his previous relationships with each sentient being and what types of relationship would be most beneficial to have with them now and in the future. With the divine eye, he sees beings dying and being born according to their karma. Knowing this, he does whatever is most beneficial to guide each being on the path to awakening. Realizing with direct knowledge, the Tathāgata here and now enters upon and abides in the unpolluted deliverance of mind (cetovimutti, cittavimukti) and deliverance by wisdom (paññāvimutti, prajñāvimukti) and knows that all defilements have been eradicated. He also knows the level of realization and attainment of each being of the three vehicles. The last three powers are the three higher knowledges that the Buddha gained while meditating during the night prior to his awakening. Due to mindfulness and conscientiousness, a buddha has no mistaken physical actions, whether he is walking, standing, sitting, or lying down. He acts in accordance with what he says, and his speech satisfies what each sentient being who is listening needs to understand in that moment. Always speaking appropriately, truthfully, and kindly, he is free from mistaken speech and idle chatter. 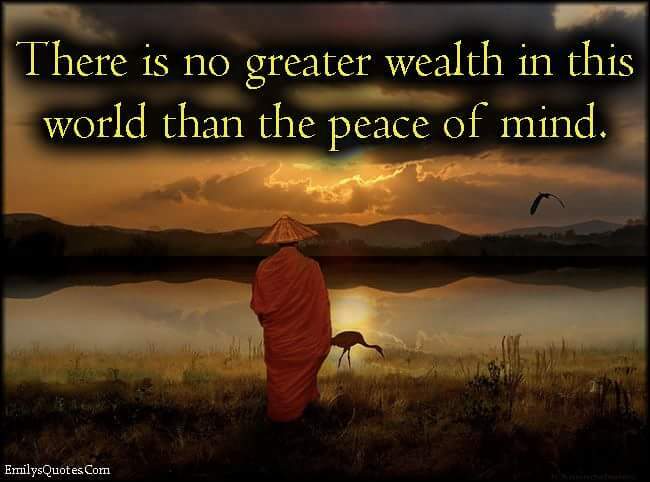 A buddha does not dispute with the world, nor does he complain about what others have done. He is free from any kind of forgetfulness interfering with the jhānas and exalted wisdom, or with viewing all sentient beings and teaching them appropriately. 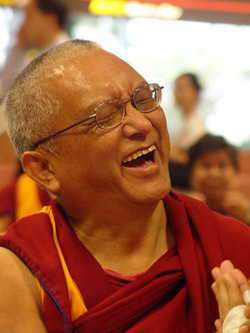 His mind always abides in meditative equipoise on emptiness, and simultaneously he teaches sentient beings the Dharma. He does not perceive any discordant appearances of inherent existence and thus recognizes all phenomena as sharing the one taste of emptiness. He also does not treat sentient beings with bias. He abides in perfect equanimity, knowing the individual characteristics of each phenomenon. Due to his all-encompassing love and compassion, a buddha never experiences any decline of his aspiration and intention to benefit all sentient beings and to increase their virtuous qualities. He never loses joyous effort to lead others to awakening. A buddha experiences no physical, verbal, or mental fatigue and continuously cares for the welfare of sentient beings without getting tired, lazy, or despondent. 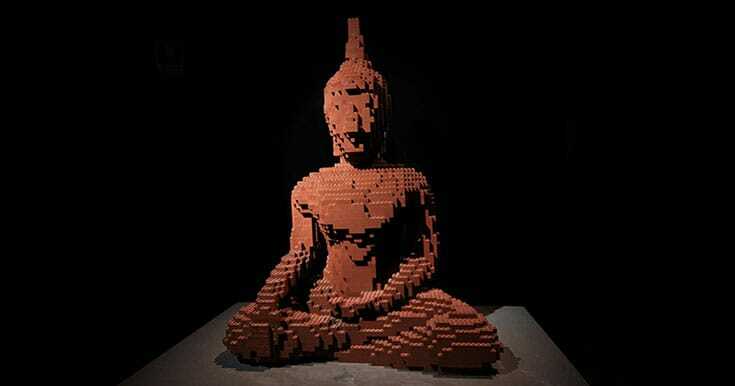 A buddha’s mindfulness effortlessly remains constant and uninterrupted. He is mindful also of the situations each sentient being encounters in the past, present, and future and the methods to subdue and help them. He continuously remains in samādhi free from all obscurations and focused on the ultimate reality. 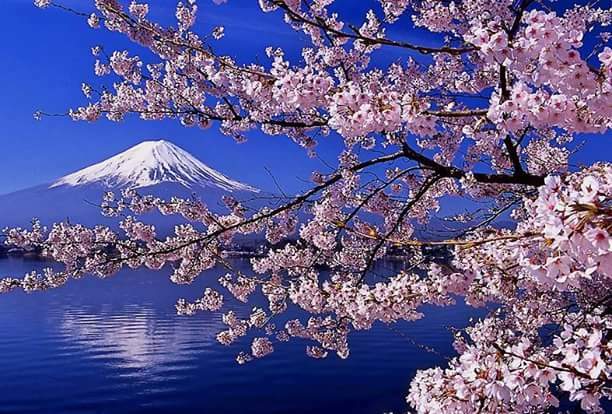 His wisdom is inexhaustible and never declines. 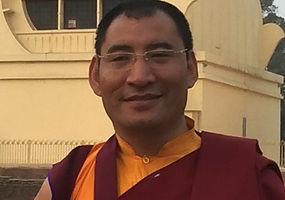 He perfectly knows the 84,000 Dharma teachings and the doctrines of the three vehicles, as well as how and when to express them to sentient beings. It is impossible for him to lose the state of full awakening free from all obscurations. 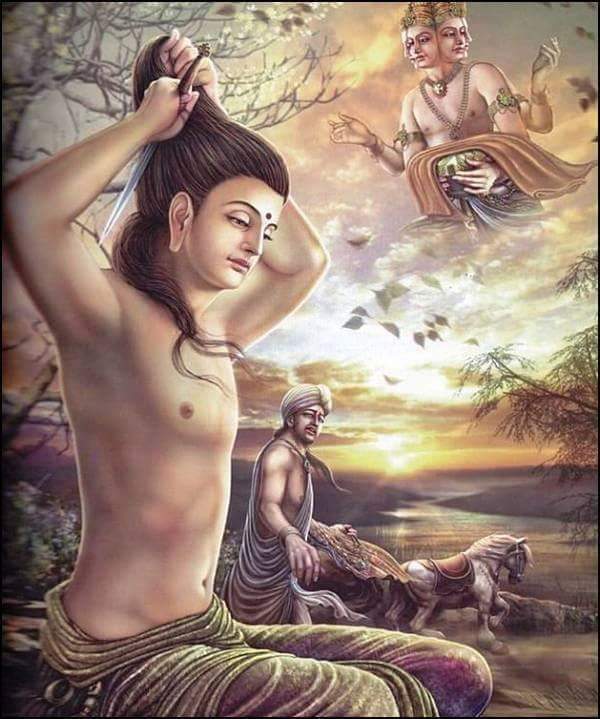 He knows the mind to be naturally luminous, and he lacks any dualistic appearance or grasping at duality. 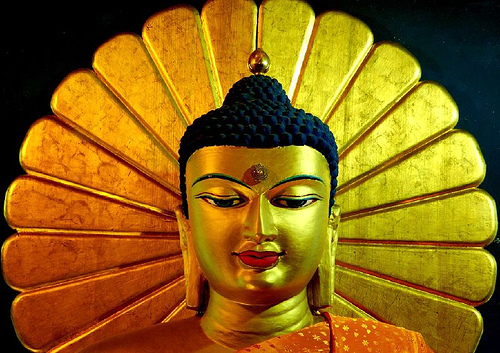 Imbued with exalted wisdom, a buddha’s physical actions are always done for the benefit of others. 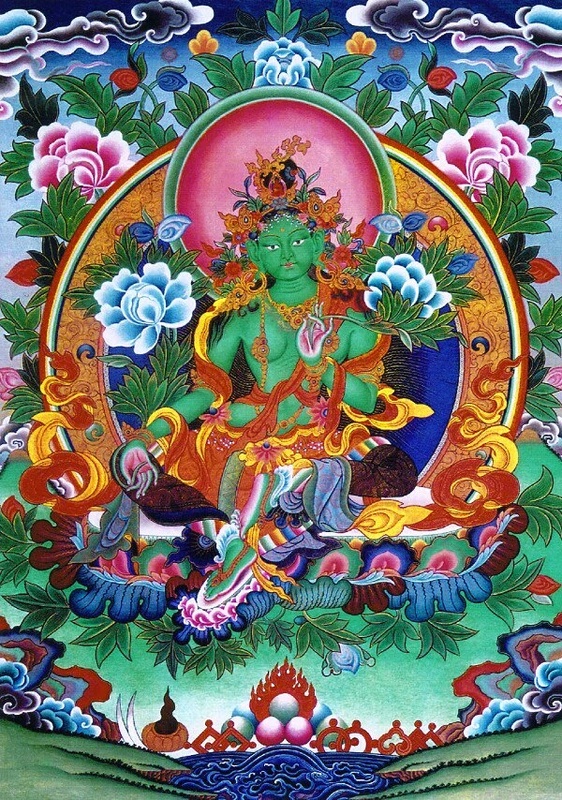 He emanates many bodies that appear wherever sentient beings have the karma to be led on the path to awakening. Whatever a buddha does has a positive effect on sentient beings, subduing their minds. Knowing the dispositions and interests of each sentient being, he teaches the Dharma in a manner appropriate for that person. His speech flows smoothly, is accurate and lovely to listen to. It does not deceive or lead others astray but is clear, knowledgeable, and kind. Filled with undeclining love and compassion, his mind encompasses all beings with the intention to do only what is of the highest benefit. 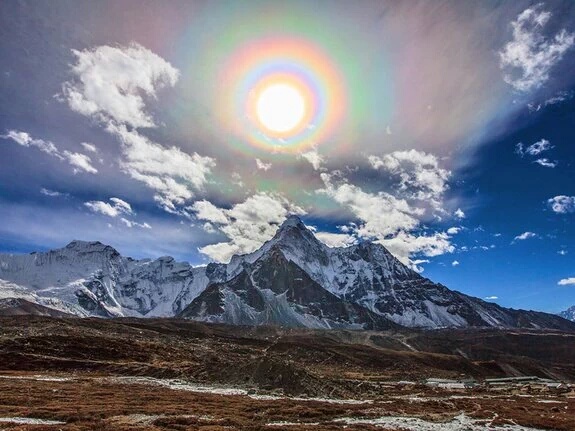 He is effortlessly and continuously cognizant of all phenomena. A buddha’s exalted wisdom knows everything in the three times—(1) past, (2) present, and (3) future—without any obscuration or error. His knowledge of the future does not mean that things are predetermined. Rather, a buddha knows that if a sentient being does a particular action, this particular result will follow, and if another course of action is taken, a different result will come. He knows all buddhafields and realms of sentient beings as well as all the beings and their activities there. 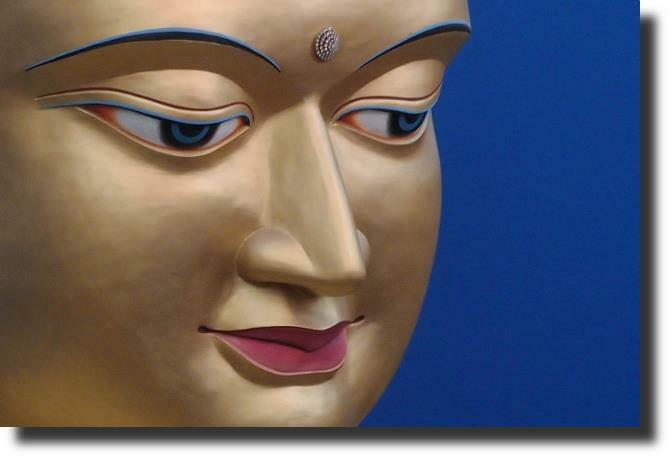 Reading such passages from the sūtras gives us an idea of a buddha’s exceptional qualities. Contemplating them brings joy and expands our mental horizons. 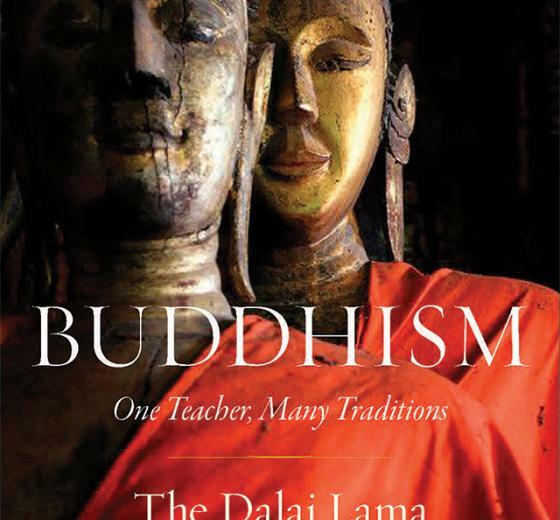 These passages also give us an idea of the qualities we will attain if we practice the Dharma as the Buddha instructed. 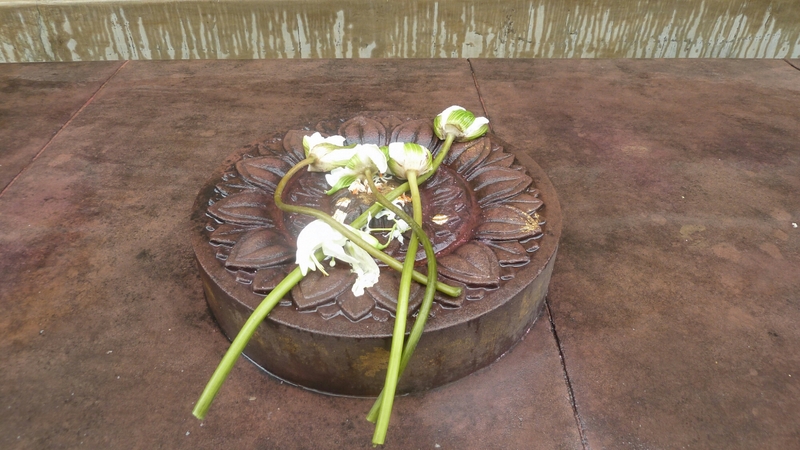 While the descriptions of the four fearlessnesses and ten powers in the Pāli and Sanskrit traditions do not differ considerably, the Sanskrit tradition emphasizes how these abilities benefit sentient beings. 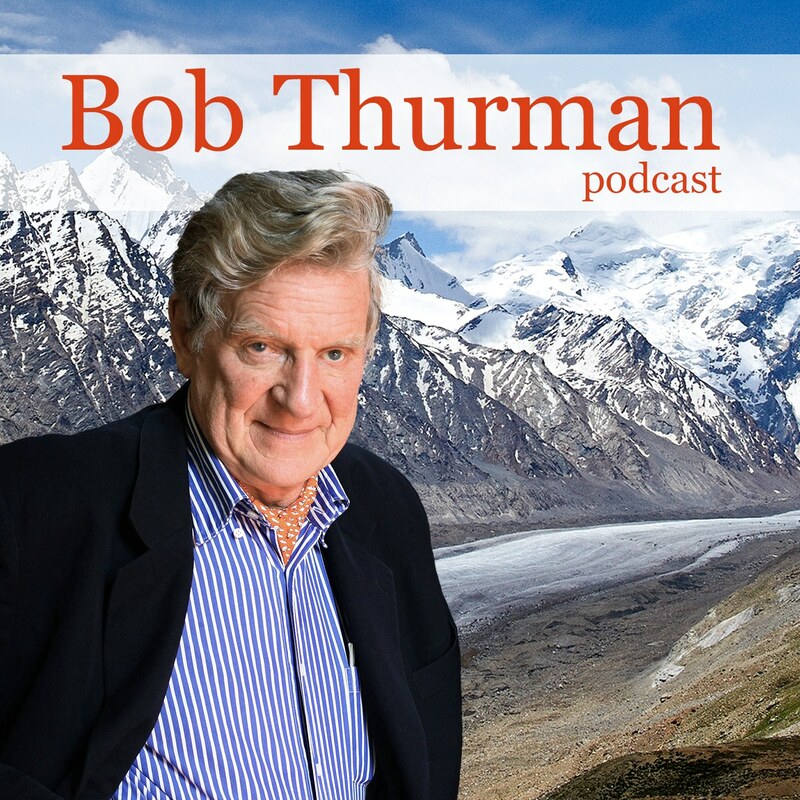 Bob Thurman brengt in zijn podcasts veel boeddhistische onderwerpen voor het voetlicht. Laat je nooit verleiden om je keuze voor dharma te moeten verdedigen. Volg je hart met wijsheid. Je Pad is een innerlijk Pad dat je koestert omdat het bevrijding brengt. Mensen hebben graag duidelijkheid en willen je in hokjes stoppen. Alleen oprechte belangstelling in wat je bezielt is waardevol. Dan is er communicatie van hart tot hart. dit leidt tot verwarring en onwetendheid. Boeddhadharma is wat jij ervan realiseert. In je daden zullen mensen zich een beeld van je vormen. Bewaar wat kostbaar in je hart. Laat liefdevolle vriendelijkheid je leiden in het leven. Zolang je je emoties je handelen laat bepalen blijft het negatief karma toenemen. Alle handelingen , positief en negatief komen voort uit het denken. Als je je denken niet zuivert en temt blijf je in de kringloop van onvoldaanheid en lijden. De lotusbloem is zeer symbolisch geweest voor het Oosten , omdat het Oosten zegt dat je in de wereld moet leven , maar er onberoerd door moet blijven. Je moet in de wereld zijn , maar de wereld moet niet in jou zijn. Je moet door de wereld gaan zonder dat je enige indruk , enige schram met je meedraagt . Als je tegen de tijd dat je sterft kunt zeggen dat je bewustzijn zo puur en zo onschuldig is als toen je geboren werd , dan heb je een religieus leven geleid , een spiritueel leven. Daarom is de lotusbloem een symbool geworden. van een spirituele manier van leven. Onaangeroerd door het water groeit zij uit de modder in het water , en toch blijft zij onaangeroerd. En zij is een symbool van transformatie. Modder wordt getransformeerd tot de mooiste en meest geurende bloem die deze aarde kent. Gautama Boeddha was zo verliefd op de lotus dat hij zijn paradijs het Lotus Paradijs noemde. De kern van de Boeddhistische religie is het beëindigen van het lijden. Ergens waar men lijden beëindigt is ook de plaats waar Boeddhistische religie aanwezig is. Je kunt overal Boeddhist zijn; in een huis, in een grot, in het bos, of in de bergen. Er hoeft geen mooie Boeddhistische tempel te zijn. Er hoeft geen monnik of novice te zijn. Ook als gewone mensen zich gedragen volgens de leer van het Boeddhisme, dan is dat ook religie omdat dat de kern van de religie is. Het beëindigen van lijden. Daarom als je de religie van het Boeddhisme wilt ondersteunen dan moet je dat doen door het beëindigen van lijden. Dit artikel is eerder verschenen op de website van de Stichting Vrienden van het Boeddhistme. Ik heb over zulke opvattingen mijn bedenkingen gehad sinds Brian Victoria eind jaren negentig onthulde hoe verstrengeld de Japanse zenbeoefening was met de Japanse oorlogvoering in de twintigste eeuw. Hier volgt een pleidooi voor meer realisme en voor minder utopisme: erken de feiten en construeer geen zuivere leer. Historisch is er een aantal ‘boeddhismes’ met een enorme diversiteit aan beginselen, praktijken en volgelingen. Om die te begrijpen als het gaat om gebruik van geweld moet je hun relaties met de staatsmacht in hun omgeving bestuderen. Wat ook nuttig is, is goed kijken naar de houding van de Boeddha zelf, en wat hij onderwees. Hij was geen pacifist, maar leerde mensen zelfonderzoek. Dat maakt nederig. ‘Geweld vind je in alle religieuze tradities; daar vormt het boeddhisme geen uitzondering op. (…) Diverse boeddhistisch tradities kennen een lange geschiedenis van geweld,’ schrijft Michael Jerryson in de inleiding van Buddhist Warfare (2010). Hij wil bovenal de misvatting bestrijden dat boeddhisme alleen maar vredelievend is. Achterin het boek staat zelfs een lijstje met boeddhistische oorlogen, van de jaren 402-517 (boeddhistisch geïnspireerde revoltes in China) tot 2002-2010 (boeddhistische soldaten in Thailand werken undercover als volledig gewijde monniken). 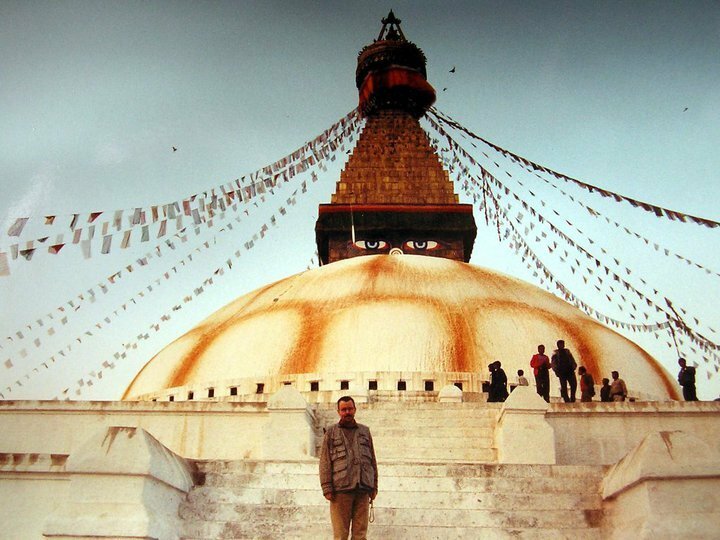 ‘Boeddhistische’ oorlogen zijn er op uiteenlopende plaatsen gevoerd: Tibet, Mongolië, Japan, China, Sri Lanka, Thailand, en om allerlei redenen. Er zijn specifiek religieuze oorlogen. De boeddhistische gemeenschap moet bijvoorbeeld worden verdedigd tegen aanhangers van andere religies. Tradities vechten hun ideologische geschillen uit. Ketters worden bestreden. En er zijn burgeroorlogen en andere oorlogen. Boeddhistische leiders verlenen legitimiteit aan staatsoptreden tegen rebellen. Boeddhistische organisaties leveren actieve ideologische en praktische bijdragen aan oorlogvoering door hun almachtige staten. Vaak gaat het om monniken die vechten als soldaten. In door burgeroorlog gevaarlijke gebieden worden kloosters soms door de staat zodanig beschermd dat ze veranderen in militaire forten. Hoe groter de verwevenheid tussen staat en sangha, hoe groter de kans dat monniken meevechten of op zijn minst de soldaten zegenen. Je kunt dit probleem wegredeneren door te zeggen dat boeddhisten die dit doen geen echte boeddhisten zijn. Dat doet Brian Victoria in zijn bijdrage in Buddhist Warfare, en sommige geleerden zijn dat in hun bijdragen met hem eens. Maar over het algemeen is de teneur van dit boek een andere: het is historisch niet gerechtvaardigd om een ‘echt’ of ideaal boeddhisme te construeren. Al vanaf de tijd van de Boeddha (ca. 490-410 v.Chr.) bestaat er ambiguïteit in boeddhistische geschriften en praktijken over het gebruik van geweld tegen personen – fysiek, symbolisch of door feitelijk sociaal gedrag (dus meer dan alleen oorlogvoering). Het voorschrift voor de boeddhist is weliswaar overduidelijk: geen levende wezens doden noch verwonden. Maar er bestaan soetra’s, zoals de Satyakaparivarta Soetra en de Suvarnaprabasha (Gouden Licht) Soetra, die staatsgeweld tot op zekere hoogte legitimeren. De koning wordt in de teksten gebonden aan hoge ethische normen, en daarom wordt vooral de Gouden Licht Soetra vaak geprezen. Maar in dezelfde soetra staat dat de koning – als het nodig is – wel degelijk geweld mag gebruiken. Hij moet bedreigingen van de sociale orde kunnen bestrijden. Oorlog voeren, doden en zelfs marteling zijn toegestaan, mits uit compassie. Wetsovertreders moeten worden gestraft naar de zwaarte van hun overtreding, desnoods met de dood. In historische geschriften worden allerlei redenen genoemd waarom doden met compassie onder voorwaarden geoorloofd is. Als de intentie en de geesteshouding maar goed zijn, zou de daad zelf niet meer tellen. Kun je eigenlijk wel doden als alles en iedereen één is? 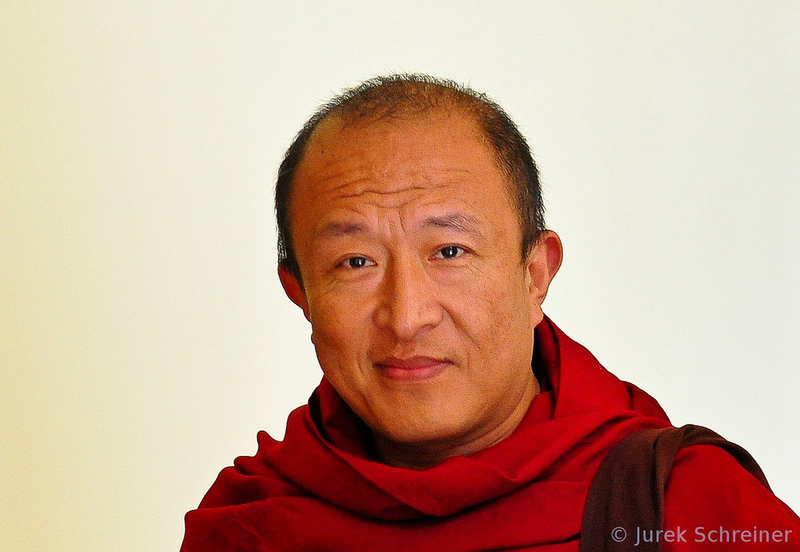 In het Mahayana-boeddhisme bestaat de leer van de Twee Waarheden: in absolute zin doden wij niet, maar in dit relatieve samsara, het aardse bestaan, kun je soms niet anders. Naast redeneringen ter rechtvaardiging van geweld tegen andere mensen is er de gewelddadige mythologische symboliek. 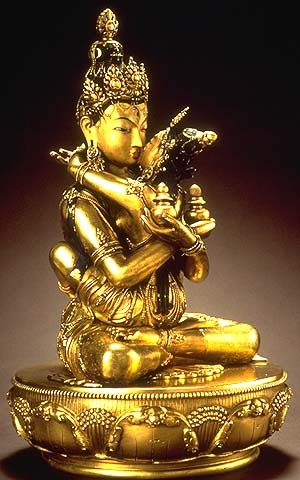 Zo staat de bodhisattva Vajrapani symbool voor de gewelddadige onderwerping en bekering van Mahesvara, een niet-boeddhistische godheid. De leer is dus niet altijd zo zuiver. En de praktijk is vaak moeilijker dan de leer. Het boeddhisme kent, net als andere religies, een enorme diversiteit aan beginselen, praktijken en volgelingen. Boeddhisten belijden overal de Vier Edele Waarheden, maar hun stromingen en scholen interpreteren die op zeer uiteenlopende wijzen. Er is geen door iedereen onderschreven canon. Ook als het over boeddhisme en geweld gaat, hebben we te maken met het gedrag van een grote verscheidenheid aan personen die zich boeddhist noemen of lid zijn van zeer diverse boeddhistische organisaties. En ze zijn ook staatsburgers. Tijdens het leven van de Boeddha moest de sangha zich al verstaan met heersers van kasten, koningen en generaals. Boeddhistische tradities ontwikkelden zich niet in een vacuüm, maar binnen een van meet af aan gepolitiseerde omgeving. De Boeddha zelf werd geboren in de kaste van krijgslieden en kende het politieke systeem waarbinnen zijn sangha moest functioneren. Zijn monniken gedroegen zich aanvankelijk binnen het grondgebied van de heersers in zijn regio als een soort onschendbare buitenlandse diplomaten. Maar niets voor niets: de sangha moest balanceren tussen gehoorzaamheid aan de eigen voorschriften en gehoorzaamheid aan de wetten van de heersers. De relatie met de staatsmacht moest goed gehouden worden, ook om financiële redenen. Dat gaf morele spanningen over het gebruik van geweld en op den duur ontsporingen. Volgens Jenkins, Maher en Xue Yu in Buddhist Warfare komt de leer van het ‘doden met compassie’ uit deze spanning voort. Het aanvankelijke verbod op het wijden van soldaten tot monniken kon historisch niet altijd worden volgehouden. Staten hebben zo hun behoeften, zeker naarmate ze groter, centraler en machtiger worden. Staatssteun aan de sangha, met kloosters als staatsvrije sfeer, vereiste steun van de sangha aan de staat. Het tot op zekere hoogte legitimeren van het gebruik van geweld was daarvan een voorbeeld. De sangha had weinig invloed, dus dan maar proberen om de verschrikkingen van oorlogen binnen redelijke grenzen te houden. Deze opvatting valt ook te lezen in preken van monniken in Sri Lanka voor soldaten in de recente oorlog tegen de Tamils. In dit precaire evenwicht tussen staat en sangha gingen de boeddhistische tradities geregeld over de schreef door de Dharma te verwarren met staatsbelang, nationalisme en patriottisme. Voorbeelden te over in Buddhist Warfare, van de Mongolen en de vijfde Dalai Lama in de 17e eeuw tot de ‘soldaten-zen’ in het Japan van de 20e eeuw, het Chinese boeddhistische nationalisme tijdens de Koreaanse oorlog in het midden van de vorige eeuw en de huidige conflicten tussen boeddhisten en moslims in Thailand. En Birma, kunnen we sinds 2012 aanvullen. Het gaat niet alleen om morele keuzen van individuen. Boeddhistische tradities opereren nu eenmaal in een politiek krachtenveld. Het is belangrijk deze omstandigheden te begrijpen. Velen menen dat boeddhisten ook pacifisten behoren te zijn, waarbij pacifisme wordt opgevat als een levenshouding die elke vorm van geweld verwerpt, om welke reden dat geweld ook toegepast wordt. Paul Fleischman, vipassanaleraar in de traditie van S.N. Goenka, is het hier niet mee eens. In een beschouwing onder de titel The Buddha Taught Nonviolence, Not Pacifism analyseert hij wat de Boeddha hierover onderwees. Volgens Fleischman zijn er fundamentele verschillen tussen de geweldloosheid die de Boeddha predikte en het pacifisme. De Boeddha onderwees geen sociale of politieke filosofie, maar een individuele levensweg. Geweldloosheid, zo min mogelijk schade berokkenen, is geen geloofsregel, maar een praktische noodzaak als je de Weg wilt gaan. De Boeddha stimuleerde eenieder op pad te gaan, en hij erkende daarbij verschillende niveaus van persoonlijke ontwikkeling, uiteenlopende sociale rollen en verplichtingen, verantwoordelijkheden en dwingende omstandigheden. Kortom, hij onderwees iedereen al naar gelang zijn karma. Met koningen en generaals heeft hij – soms zelfs hartelijke – relaties, maar hij vermeed politieke betrokkenheid. Hij veroordeelde hen niet, noch adviseerde hij deze machthebbers om hun politiek te veranderen of hun posities op te geven. Wel moedigde hij hen aan om hun werk te doen met een zuivere geest en een pad te gaan van compassie en harmonie. Soldaten vroeg hij naar hun motivatie. Kun je het doden baseren op liefde voor wie je beschermt in plaats van op haat voor wie je bestrijdt? Geweldloosheid is een levenslange persoonlijke opdracht. Je moet anderen niet veroordelen, maar juist hun geweldloze potentieel zien. Geweldloosheid is niet hetzelfde als passiviteit. Soms zijn harde acties nodig om kwaad te beteugelen. Het gaat om de intenties die erachter zitten. De Pali Canon beschrijft de Boeddha als een wandelaar op de Middenweg tussen directe betrokkenheid bij specifieke politieke (gewelds-)kwesties – maar zover liet hij het zelf nooit komen – en tot medeplichtigheid leidende aanvaarding van onrechtvaardigheid. Ook dat probeerde hij te vermijden. Het is verleidelijk om een ideaal, moreel hoogstaand boeddhisme te construeren en de werkelijkheid daartegen af te zetten. Maar waarom boeddhistische soldaten veroordelen? Een mooie conclusie, lijkt me zo. Dit artikel werd al eerder geplaatst in het Boeddhistisch Dagblad, op 17 april 2013. Jelle Seidel is vorig jaar overleden. Deugdzaam te zijn betekent niet simpelweg gele gewaden te dragen ; het betekent de rijping van karma te vrezen. Onze daden bepalen ons , net zoveel als wij onze daden bepalen. Vuur kan koud worden , de wind kan gevangen worden door een touw , de zon en maan kunnen naar beneden vallen , maar de consequentie van karma is onfeilbaar. Een kwade daad klontert niet plotseling als melk , maar achtervolgt de dwaas als een smeulend vuur. De geest kan getraind worden om steeds positiever waar te nemen. Geluk en lijden zijn afhankelijk van onze geest. Karma is vooral een gedachtenpatroon waardoor we een gewoonte vormen ten opzichte van de dingen. De gedachtepatronen worden gewoontes in onze geest en die gewoontes worden karma genoemd. De drie soorten gevolgen van karma. neiging tot de zelfde negatieve daden en genieten er ook van. doden leidt tot geboorte in onaangename plaatsen. Oorzaak en gevolg zijn twee heel verschillende dingen. We moeten de oorzaken wegnemen om de gevolgen niet meer te hoeven ervaren.Dit kan door zuivering van negatief karma. beoefenen en andere goede daden. of wel de verlichtingsgeest van het altruïsme. Alleen deze vier krachten samen kunnen negatief karma zuiveren. Negatief karma is schadelijk voor ons. Dit is een belangrijk inzicht. Naast spijt betonen is het van het grootste belang dat we onze geest disciplineren. Daarom hangt alles af van onze motivatie. Het belangrijkste is de motivatie te ontwikkelen van een altruïstische instelling . Alle heilzame daden moeten onstaan uit de motivatie om goed te doen voor alle levende wezens. We mediteren op de liefdevolle vriendelijkheid voor alle wezen of dat alle wezens vrij zijn van lijden. We kunnen dan net zo veel verdienste vergaren als er wezens zijn. En er zijn ontelbare wezens dus is er ontelbare verdienste te vergaren. Wie alleen verdienste voor zich zelf vergaart zorgt er voor dat de verdienste zich niet vermenigvuldigt. Onwetendheid is de schepper van het universum. Alle wezens en dingen hebben geen oorsprong. De intrinsieke realiteit is leeg. vinden van de niet-leegte. Een negatie van realisatie. Ga nooit zoeken naar de leegte , want je zult die nooit vinden. De leegte van de leegte. We leven in een tijd vol geweld. Niet alleen op wereldschaal maar ook in onze persoonlijke levenssfeer. Waar komt geweld vandaan ? Gehechtheid aan je ego. Gehechtheid aan bezit en opvattingen. Onwetendheid over de onderlinge afhankelijkheid van alle verschijnselen jezelf inclusief. Ieder wezen wil geluk vergaren om te kunnen leven . Ieder wezen zal dan ook bedreigingen afwenden en plezierige omstandigheden willen aantrekken. De haat komt voort uit angst. Angst om te verliezen wat je hebt , en wat je wilt blijven vasthouden om je geluk in stand te houden. Haat en gehechtheid zijn twee vergiften die beiden voortkomen uit onwetendheid. Wat is dan die onwetendheid ? Het is onwetend zijn over de ware natuur van de verschijnselen. Niets bestaat op zichzelf. Het heeft altijd een voorgaande oorzaak en is in zichzelf weer een gevolg. Door de juiste omstandigheden openbaren gevolgen zich in tijd en ruimte. Jij bent er door de oorzaak van het samenzijn van je ouders en de juiste omstandigheden. Jij bent het gevolg en de oorzaak weer van ontelbare gevolgen. Een mens die zijn totale karma gezuiverd heeft is een Ontwaakte of wel een Boeddha. Uit goed karma komen alleen goede dingen voort . Uit slecht karma komen alleen slechte dingen voort. Slecht karma zijn alle handelingen die andere wezens en jezelf schade toebrengen. Goed karma zijn alle handelingen die andere wezens en jezelf helpen minder te lijden. De Boeddha vroeg zich af waar het lijden ( geboorte , ziekte , sterven ) vandaan kwam. In zijn verlichting zag hij dat alle lijden voortkwam uit onwetendheid. Vanuit zijn wijsheid ontstond grenzeloos mededogen met alle wezens. De wijsheid van de onderlinge afhankelijkheid liet hem zien dat het lijden door de onwetendheid van alle wezens ook zijn eigen lijden was. Mededogen is de wens dat de ander niet lijdt. De lijdende mens heeft niets aan je medelijden maar heeft actie nodig om het lijden op te heffen. Dit is het ware mededogen. Het boeddhisme is dus een pad gebaseerd op het diepe inzicht in de onderlinge afhankelijkheid van alle bestaan. Zoek een GU ( donker ) RU ( licht ) die je kan helpen met zijn/haar spiegelende wijsheid om het Pad te gaan naar de grootste vorm van mens zijn : het Ontwaakt zijn.